Cillnabradden Evo went one better than at his Oasby outing, winning an open intermediate thanks to a 25.2 dressage and double jumping clear. Stablemate Ulises almost matched that, but was narrowly pipped at the post in another open intermediate section, having to settle for the runner up spot. Newmarket Caro, on whom Oliver took over the ride at the end of last season, had her first run of the year, finishing third in an intermediate section. Meanwhile Crumlinpark Genie’s dressage score completion was good enough for sixth in a novice. 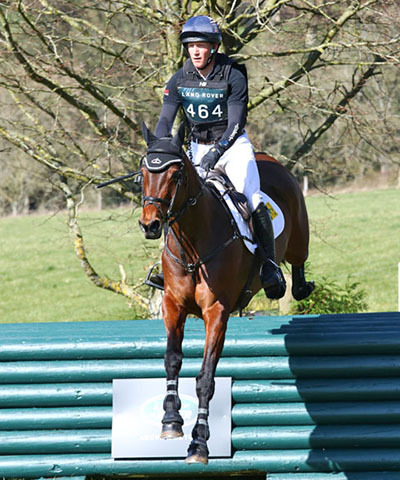 Both Miss Cooley and Nelson de la Pomme were taken very steadily around their respective cross country courses.